You're a Wizard, Harry. Yeah, so am I! They call it Divergent. I am one. Fandom lover!! 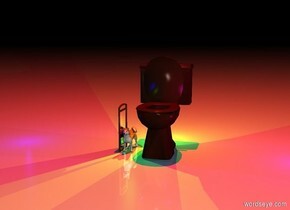 A dog left out in the night finds a toilet. There is a small dog. The ground is shiny. The ground is aquamarine. It is night. There is a root brown toilet to the right of the dog. There is a green light above the dog. There is a small mirror to the left of the dog. The mirror faces the dog. There is a yellow light behind the toilet. The light faces the toilet. There is a blue light 3 feet to the left of the mirror. The light faces the mirror. There is a magenta light 3 feet to the right of the toilet. The light faces the toilet.There is a gigantic super red light above the toilet. The light faces the toilet. There is a tiger. There is a large mirror 2 feet to the right of the tiger. The mirror is facing the tiger. The tiger is facing the mirror. The ground is shiny. It is night. There is a yellow light above the tiger. There is a woman behind and to the left of the mirror. The woman faces the left. The sky is blue. The ground is blue. 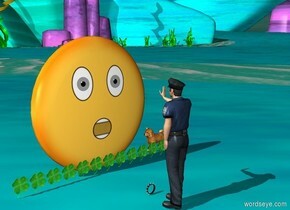 There is a big blue ball. There is a big teal cup to the right of the ball. There is a big blue shoe to the left of the ball. There is a big aqua desk 3 feet behind the ball. There is a big blue chair 1 foot behind the desk. There is a gigantic hot pink heart in the sky. The huge red "Thank You" is 2 feet in front of the heart. There is a rainbow 2 feet behind the heart. 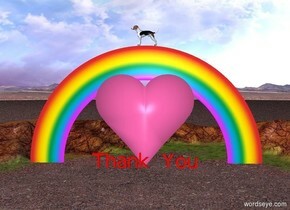 There is a huge dog on the rainbow. The dog is facing the left. There is a gigantic pink heart in the air. The ground is ice. The sky is blue. 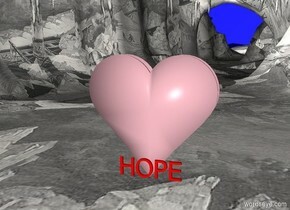 The huge red "HOPE" is 2 inches in front of the heart. 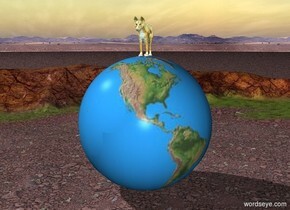 There is a huge golden dog on a gigantic globe. I guess this is normal for cops. 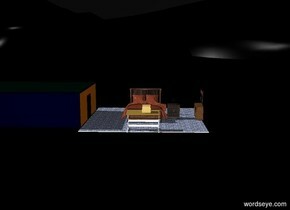 There is a person on a bed.There is a huge human face 3 feet in front of the bed. 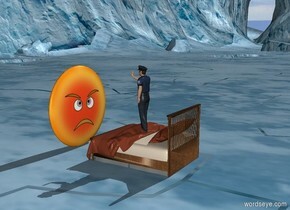 The human face is facing the bed. There is a person facing the front. There is a desk 1 foot in front of the person. The desk faces the person. There is a computer on top of the desk. The computer faces the person. There is a coffee cup to the right of the computer. 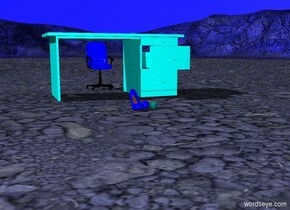 There is a paper to the left of the computer.There is a chair 1 foot behind the person. There is a bed in the middle of the room. 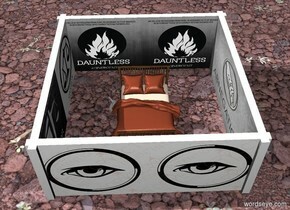 There is a nightstand to the right of the bed facing front. A small lamp is on top of the nightstand. The ground is black. The sky is black. There is a table 4 feet in front of the bed. A tv is on the table. The tv is facing the bed. There is a dresser 5 feet to the right of the bed. The dresser is facing the bed. The sky is black. The ground is black. The white "Error 505. Image not found!" is on the ground. There is an emoji 1 foot in the ground. The emoji is1 foot in front of "Error 505. 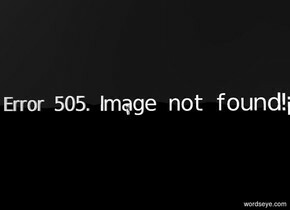 Image not found!" There is a human face. There is a computer facing the human face. 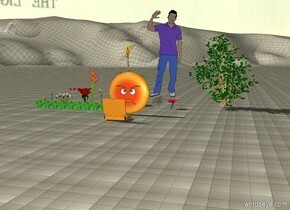 The computer is 1 foot in front of the human face. There are 12 clovers and 12 flowers 2 feet behind the human face. There is a human 8 feet behind the human face. The ground is tile. The sky is night. Is This Normal For A Police Officer?? There is a small clover in front of a human face. There are 12 small clovers in front of the human face. There is a tiny dog to the right of the human face. The dog is facing the human face. There is a tiny collar 1 foot in front of the clovers on the ground. There is a tiny person in front of the collar. The person is facing the human face.